Schedule an appointment today if you’re looking for a custom holistic massage or facial in Brevard, North Carolina. You’ll find a parking lot right next door to our location on North Gaston Street, located downtown in the Heart of Brevard. Follow the links in the upper right column to learn more about massage, facial, waxing, and other spa services. 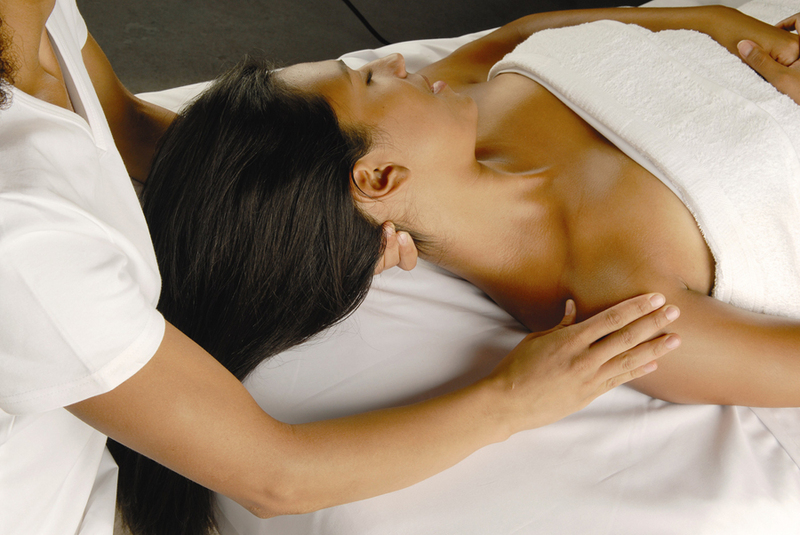 Massage is a bodywork technique that varies greatly depending on the type of work that’s needed. If your body needs a deep tissue approach, we’ll do that. If a more gentle approach is best, we’ll do that instead. But many massages are a blend of the two. Every person’s needs differ so you can be sure that your massage won’t be based on a ‘cookie cutter’ treatment. This is an exciting time for skin care because new products and techniques are introduced every day. But while many of today’s advancements truly are new, others (such as the use of therapeutic essential oils) draw upon methods and materials used for eons. I like to think of skin-related problems (and their solutions) as mysteries — sometimes there’s an easy answer, but in many cases we must put the pieces together (as we would a jigsaw puzzle) in order to plan the best way to tackle a problem. I love to help people completely relax when they schedule a facial (and to see or feel immediate improvements in their skin when they leave). Call 828-553-1000 to schedule an appointment with Janet Wickell. Please leave a message if I cannot answer. Do you like to use handcrafted bar and liquid soaps, bath bombs, and other body products? Blue Ridge Comforts creates palm-free soaps and other products from skin-loving oils, often infused with beneficial botanicals, such as calendula. Sea salt soaps and clay formulations are among our most popular offerings. When we decided our products should be palm-free, Janet began formulating our own signature recipes — a fun endeavor, but a refresher in the chemistry classes she took many years ago, with her esthetics knowledge added to the mix. The results have been well worth the time spent developing our soaps because clients return again and again to replenish their stock and give positive feedback on our products. Our soaps are available by mail order, so do take a look if you’re one of the growing numbers of consumers who are tired of using detergent-based commercial soaps with hidden ingredients. Our labels say it all: oils, butters, herbs, clays and essential oils or (sometimes) high-quality fragrances. We often don’t think of skin as a body organ, but it is the body’s largest organ and not something that should be bombarded with chemicals during each bath or shower — we get enough of that during our daily routines. Our stock changes rapidly, especially during the summer and fall months when we attend local festivals. Don’t hesitate to contact Blue Ridge Comforts Soaps if you would like a list of our current inventory. 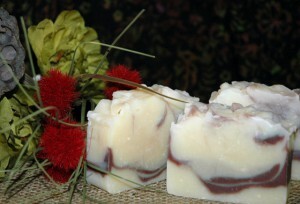 Our soaps are available for wholesale purchase. Brevard is in the heart of Transylvania County, a Blue Ridge Mountain community that’s well known for its scenery, rivers, and hundreds of waterfalls. We are a much-loved retirement destination and thousands of tourists arrive each year to visit our lush state and national forests, attend the Brevard Music Center, and take part in other cultural and community events.